this showing the "Dottie" asteroid in the movie Armageddon, in maybe the same size as it was said in the movie, around the same size as Texas. covering California and washing up in Denver. Japan's gone. Australia's wiped out. and the rest'll freeze to death from nuclear winter. Well, actually, this is as real as it gets. right for us, at 22,000 miles an hour. Not a soul on Earth can hide from it. Hey. Have you seen a NASA video of the Moon based on LRO imagery these days? I recreated it in Celestia: Go to the center of the Earth, hide everything but planets, center, straighten and lock on Moon, and speed up to 200000X. Enjoy: La Luna en 2012. Test of a 3D corona effect using multiple image planes. I wonder if your "planes" would help me in making a photon torpedo. I have tried so many other things, this might just be the ticket. Last edited by John Van Vliet on 19.10.2013, 05:55, edited 1 time in total. Yes, this one uses the vertices of an icosahedron to orient the planes, so you end up with 6 (double-sided) planes. The planes are still quite noticeable from certain orientations, probably subdividing the icosahedron into a geodesic sphere may help remedy this at the cost of requiring more image data and a more complex mesh. Last edited by John Van Vliet on 19.10.2013, 05:52, edited 1 time in total. Last edited by John Van Vliet on 19.10.2013, 05:51, edited 1 time in total. For good reasons, Celestia offers to get rid of the clouds with a click (I-key), in order to have an unobstructed view of the surface! For curious people who have no idea what the surface of Venus looks like, this info is definitely instructive. And so why do it ? is NOT what the eye would see! 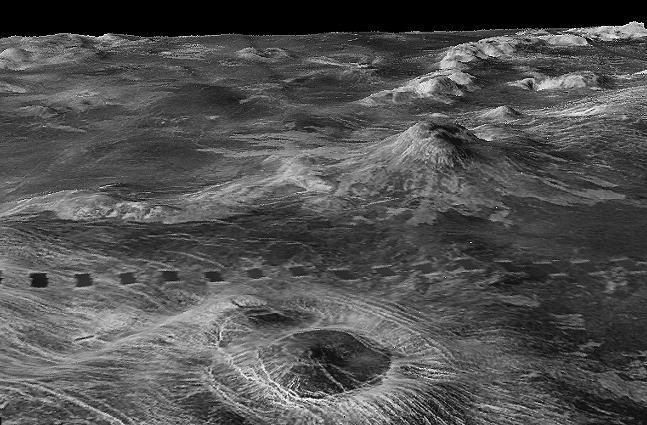 It has been taken in UV light by Pioneer Venus Orbiter, at wavelengths strongly absorbed by sulfur compounds in the atmosphere. This technique strongly enhances patterns in the clouds caused by upper atmospheric winds. Last edited by t00fri on 09.05.2012, 15:05, edited 1 time in total. The real point is to ephasize the ridiculously LOW price per GB of storage these days! Hence storing 12 GB cost 12 * 50 /1000 = 0.6 Eur < 1$! Last edited by John Van Vliet on 19.10.2013, 05:44, edited 1 time in total. Every user is free to substitute his/her own images instead. Above all with a yellow star near it ! And if the sun were yellow enough to noticeably tint the clouds on Venus, why is it not also tinting the clouds here on Earth? @Fridger: too bad, but I cannot see the "Venus-images" you've posted here... Could you post a link, please..? Thank you. Don't know about you but I generally see it as (blinding) white, at least when it is high enough in the sky not to be strongly affected by atmospheric scattering. Spend some time outside maybe? J.T.K. wrote: The sun is a yellow dwarf (G2V). Why should that affect anything? the sulfuric and carbonic atmosphere , you don't never see the color of sulphur near volcano ? 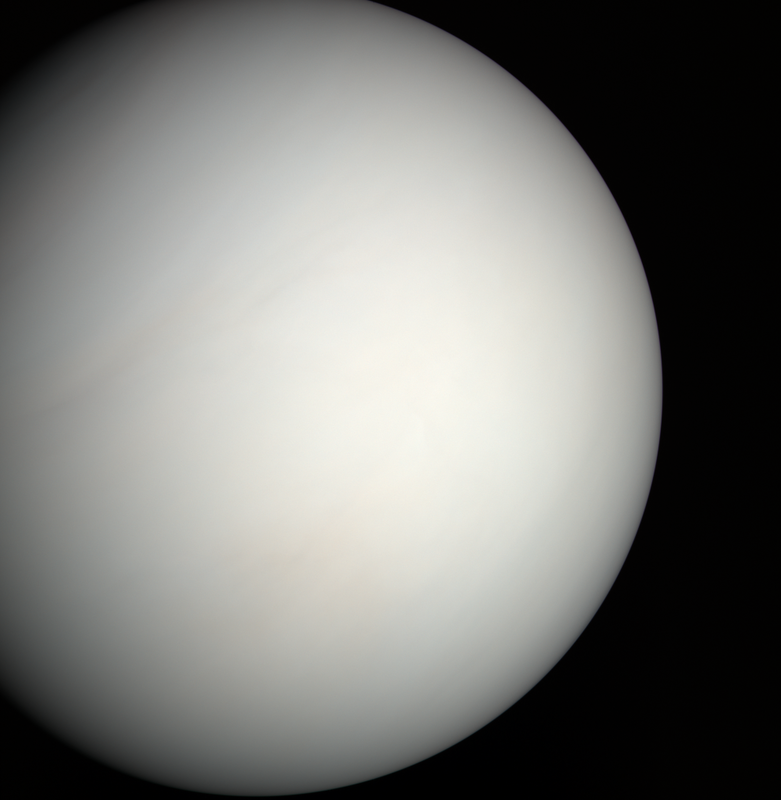 The clouds on Venus are made up of sulphuric acid, not sulphur. Ever seen sulphuric acid? It's colourless. As is carbon dioxide. A different atmosphere (O?, N? and O3) with clouds of water.